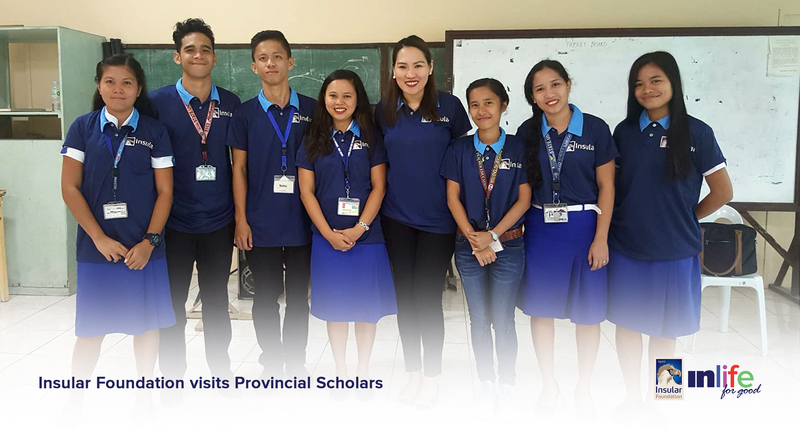 The Insular Foundation visited its college scholars in four provinces: Bohol, Benguet, Davao and Bukidnon. There are 26 scholars all under the Gold Eagle College Scholarship – Education Program enrolled in Insular Foundation’s partner State Universities and Colleges (SUCs). These five partner SUCs are: Bohol Island State University, Benguet State University, Davao Oriental State College of Science and Technology, Central Mindanao University and Aurora State College of Technology. The Foundation visited only the first four SUCs. Insular Foundation Program Manager Tere Melad and Program Assistants Chelle Tingzon and Mitzie Casibang met with the scholars to talk about the background of the Foundation and the Gold Eagle scholarship rules and requirements. They also treated the scholars to a luncheon which provided them the opportunity to mingle and share stories with one another. The school visits reaffirm the Foundation’s mission of helping make lives better through education. According to the scholars, the benefits they receive every month are a big help to their family as their parents do not need to worry about their school expenses. The Foundation gives cash allowances that cover their board and lodging, transportation and school project expenses. Every year, the Gold Eagle College Scholarship Grant offers up to three slots each to students of the five partner SUCs enrolled in either Bachelor of Elementary Education or Bachelor of Secondary Education programs. The scholarship benefits include tuition and miscellaneous fees, monthly stipend, book allowance, and transportation, provided they meet the scholarship requirements. After graduation, the Education scholars are required to work as teachers in any school in the Philippines for at least two years. Insular Foundation aspires to be a committed partner in building self-reliance for the communities it serves and demonstrates its steadfast support for education and nation-building. Scholars from Benguet State University. (From left) Renante Leano, Walter Magdato Jr., Marie Cris Marcos, Cristie Joy Ago-an and Irish Rochel Arevalo with Ms. Melad (3rd from left). Not in photo are Enalyn Rose Sali and Jovielyn Tiw-an. Scholars from Davao Oriental State College of Science and Technology. 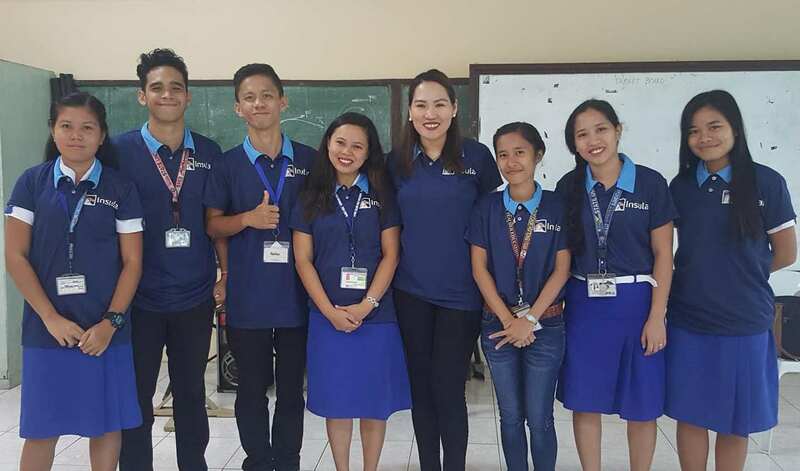 Ms. Melad (extreme left) with the scholars Ana Mae Daao, Teodoro Cabatlao, Janice Rom, Princes Jane Tirona and Lady Rainjoy Aman and Candy Enriquez from the DOSCST Office of the Scholarship (extreme right). Scholars from Central Mindanao University. 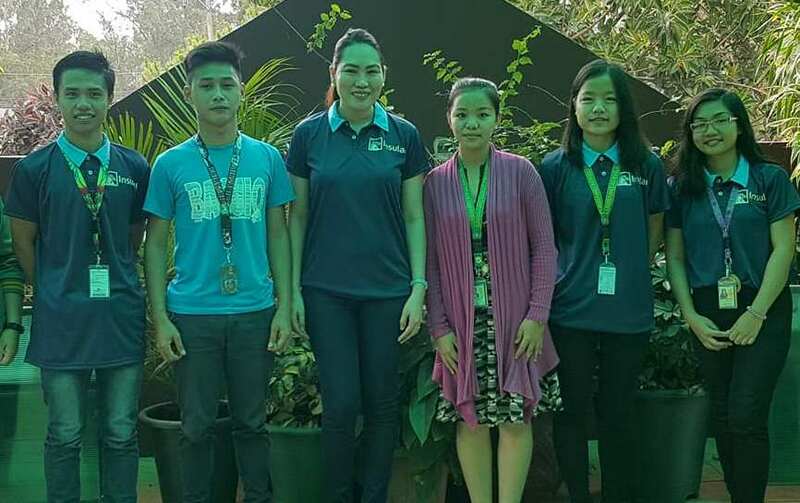 Scholars Leizel Monticod, Melody Gregorio, Stefanny Arbolonio, Ardan Fusin and Cladelle Iran with Precy Nasol of CMU Office of the Scholarship and Ms. Melad (4th & 5th from left, respectively). Not in photo is Mary Jane Tagaro.